The weather is nice and cool recently and how are you doing ? It is a great timing to be held Daimyo Tapeo as we have wonderful food in autumn. Now, 2016 autumn Daimyo Tapeo is here. 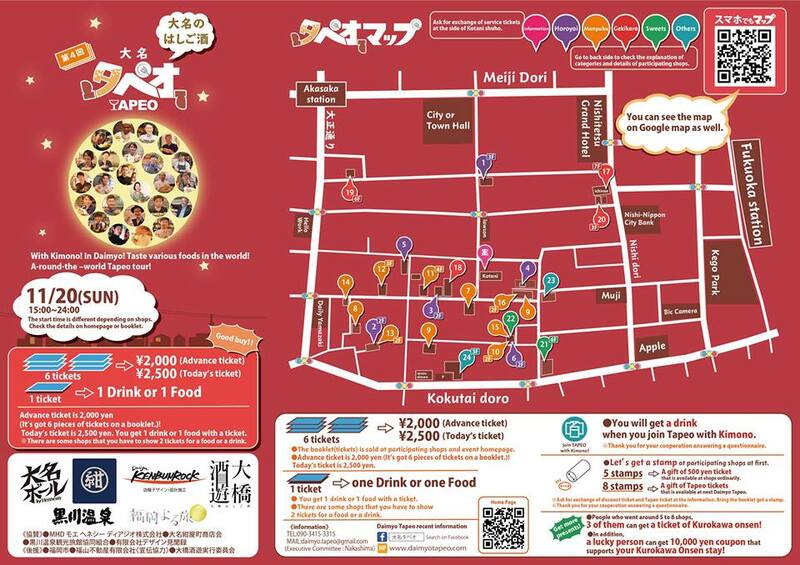 Sun.20th Nov. 15:00～24:00 You will have lots of foods and drinks in 24 of shops in Daimyo. Also you have a chance to get a present by collecting stamps. It is like you go across the world and eat the traditional food in that countries. 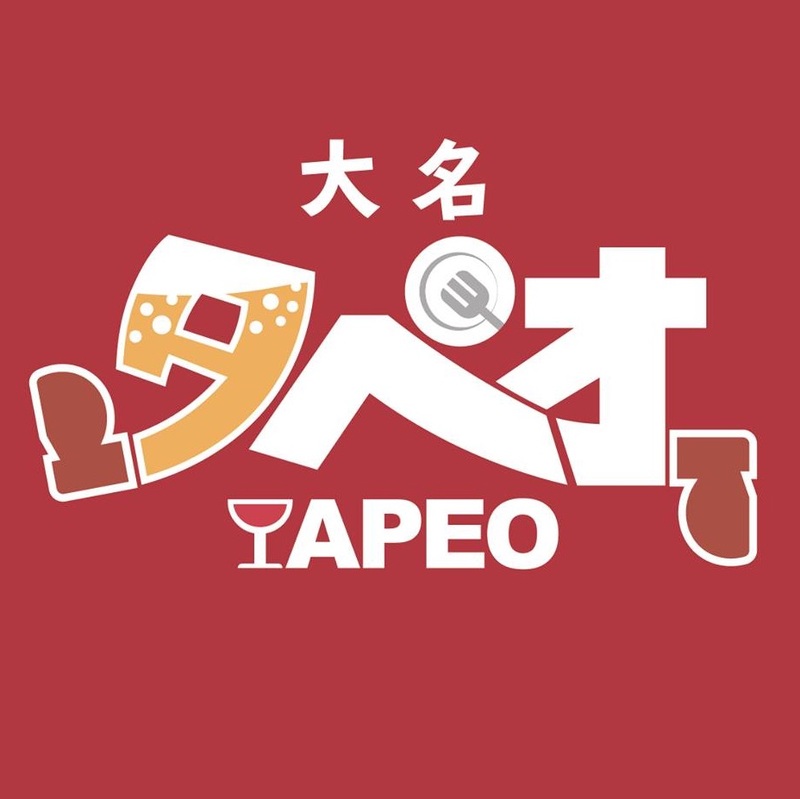 And if you come join Tapeo with Kimono, you will get a free drink. Additionally, people who got 5 stamps, will get a ticket of 500 yen discount. 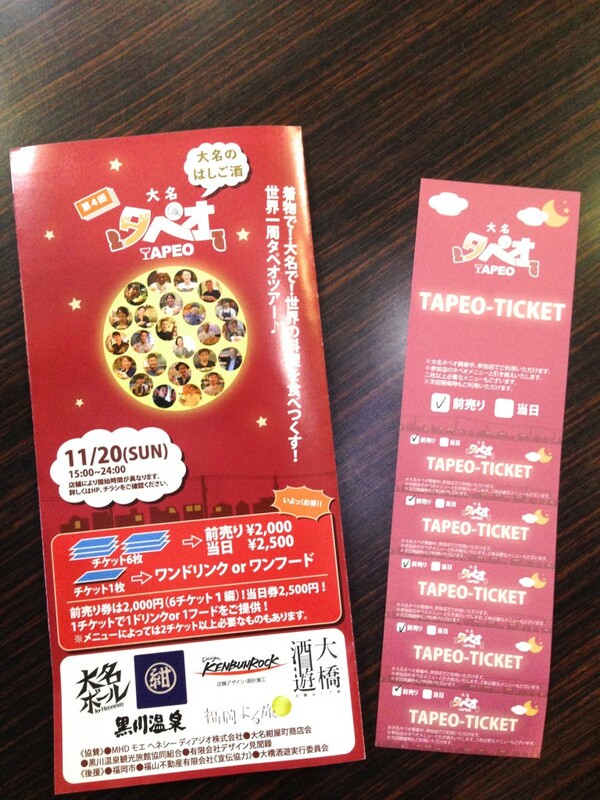 When 8 stamps are collected, Tapeo ticket (available at next Tapeo) will be presented. Since the 2nd Daimyo Tapeo, Kumamoto instauration project was planned but we are going to prepare a present because we want you to trip to Kumamoto this time. 1. Three of people who went around 5 to 8 shops, might get a ticket to go to Kurokawa Onsen. 2. In addition, a lucky person will be presented 10,000 yen coupon that supports your Kurokawa Onsen stay. 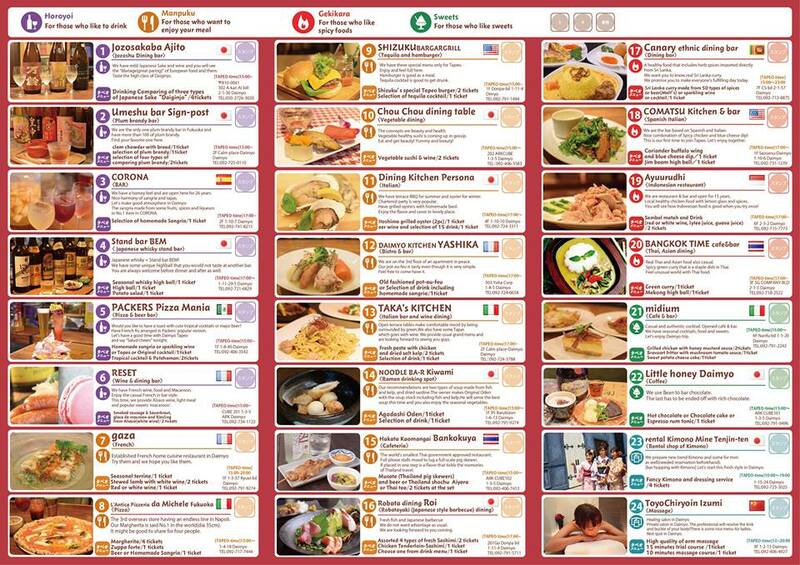 We hope people from foreign countries to enjoy so we prepare English map and menu this time. Also Kimono that is one of Japanese culture rental shop join this time! You can try Kimono on and enjoy walking around. ・Advance ticket is 2,000 yen (It’s got 6 pieces of tickets on a booklet.)! Today’s ticket is 2,500 yen. You get 1 drink or 1 food with a ticket. There are some shops that you have to show 2 tickets for a food or a drink. ・Let’s get a stamp at participating shops at first and you will get a gift of 500 yen discount ticket that is available at shops ordinarily when you collect 5 stamps. 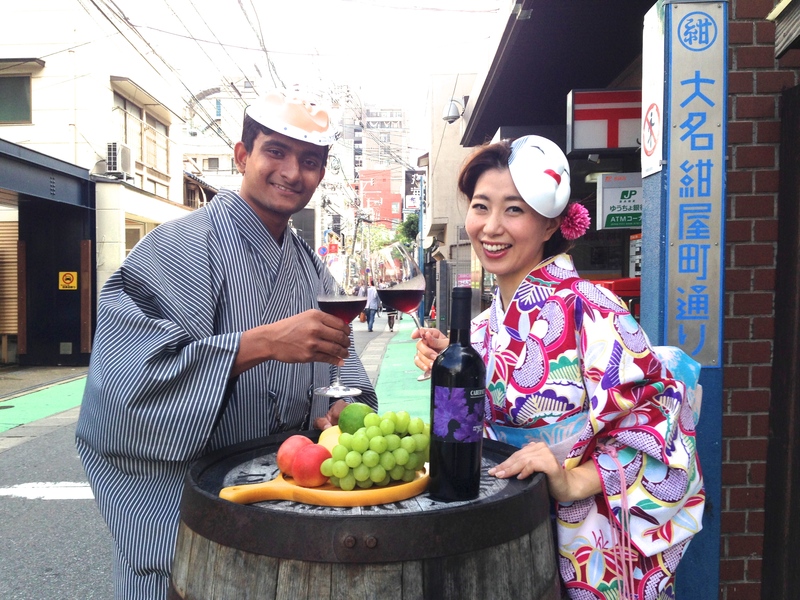 ・And if you come join Tapeo with Kimono, you will get a free drink. 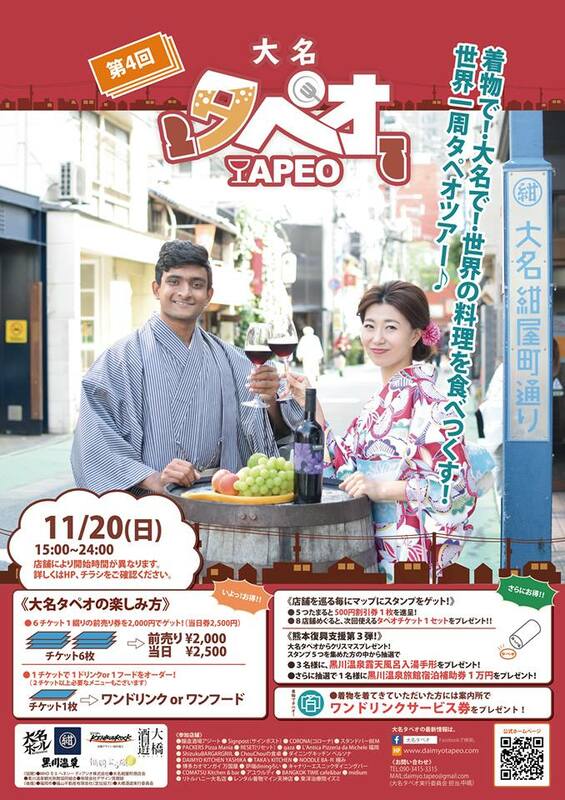 ・People who went around 8 shops will get a Tapeo ticket that is available at next Daimyo Tapeo. ・Three of people who went around 5 to 8 shops, might get a ticket to go to Kurokawa Onsen. 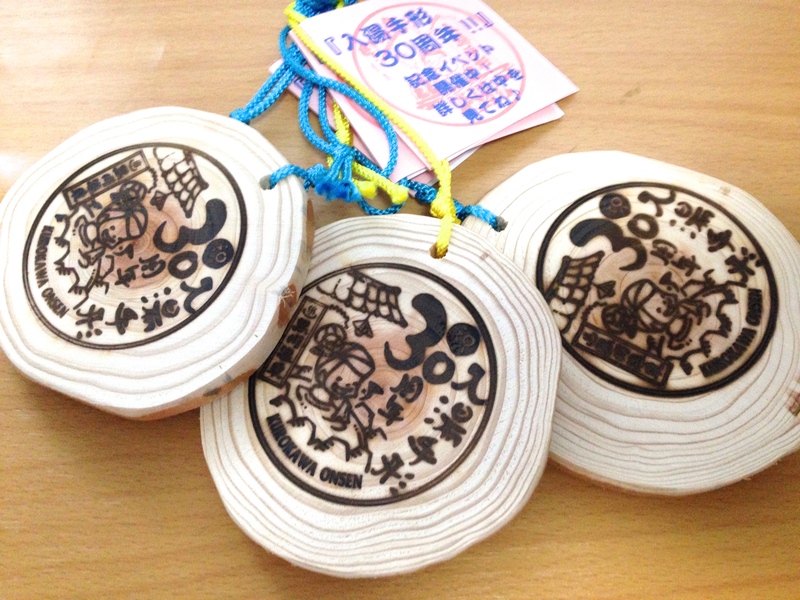 ・In addition, a lucky person will be presented 10,000 yen coupon that supports your Kurokawa Onsen stay.